Kellie was born in Columbus, Georgia and grew up on a small farm in Eufaula, Alabama where she spent most of her time outside and creating at an early age. Kellie attended and graduated from Troy University with a Bachelors of Fine Arts. In college, Kellie focused on painting and print making, and enjoyed combining materials in her work. 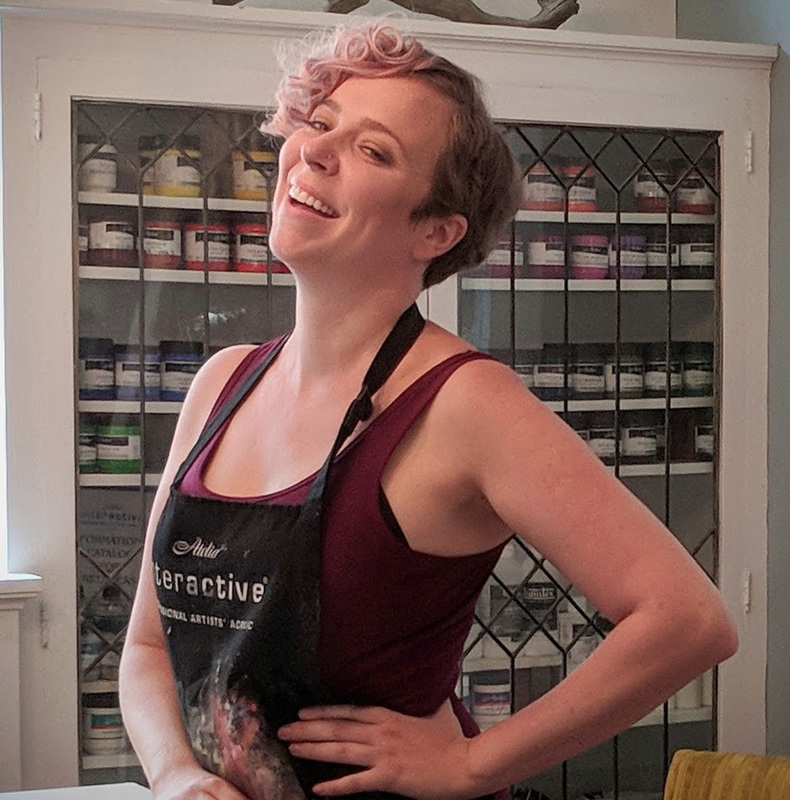 Kellie began working for Chroma’s Atelier Interactive brand of paint while attending college and continues to work for them today as their representative to the South-East United States. This position gives Kellie a corporate sponsorship, providing her with paint for her large-scale works. Working for the paint company keeps her in direct contact with large art suppliers and allows her to have the opportunity to try new materials of all brands.